OLV is a faith-based community where belief in God and living according to His greatest commandment is part of the everyday environment. Putting that faith in action through compassion and service to the community in an inherent aspect of our school. Students learn to put their faith in action through respect, empathy, and kindness for others. These values are instilled in the classroom, school activities, athletics, and across grade levels. 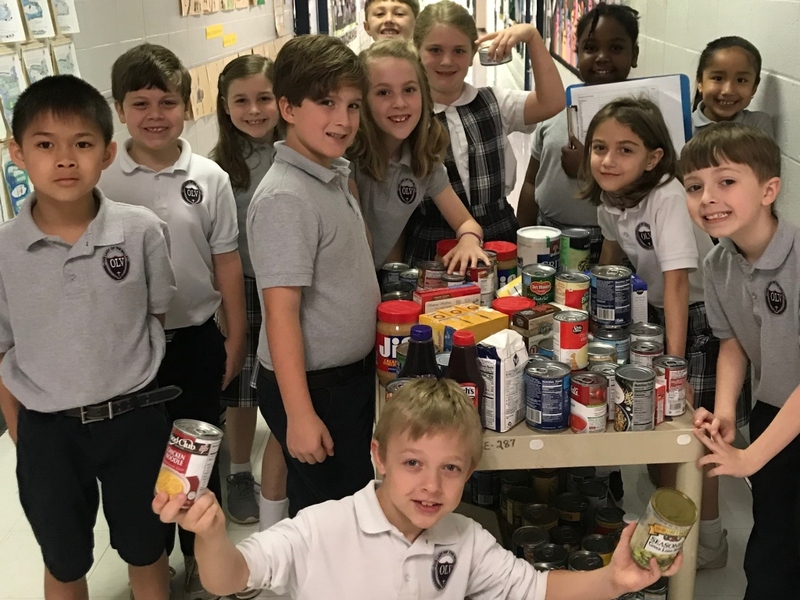 Teachers celebrate the joy that is realized when we live our faith through love of neighbor and offer opportunities, such as the school’s buddy program which pairs upper grade students with younger students for Mass and School-Wide Learning Units, to foster responsibility and compassion. Students learn to live in response to God’s love and grace by helping others. Students also learn to bring Christ to others through service. Service activities are planned for both inside and outside the classroom giving students the opportunity to witness the transformational impact that putting their faith in action has on others. Students also serve their school, faith, and civic communities. Students serve as guardian angels, mentors, and in all aspects of the faith community as cantors, alter servers, lectors, and choir members. Inspired by their faith in God, OLV students are spreading His love for all and becoming the next generation of Christ’s servants.